Time, choice, feedback. 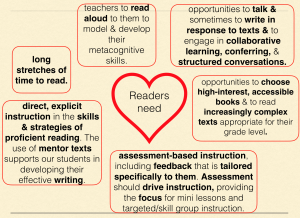 They are key elements around which we are growing our understanding of readers and reading instruction. They are also the same elements Calkins and Ehrenworth name as the enduring elements of good writing instruction in “Growing Extraordinary Writers: Leadership Decisions to Raise the Level of Writing Across a School and a District” (The Reading Teacher, July/August 2016). Writers, they argue, need protected time to write, choice in topics, books, and strategies they want to explore, and feedback that includes compliments and next steps for them to tackle. Readers do, too. While these enduring elements are the cornerstones of reading and writing workshop, Calkins and Ehrenworth add that the newest research calls for the addition of two elements for powerful instruction: explicit expert strategy instruction and goal-setting. The intended structure of reading workshop aims to fulfill all of these promises we make to our students: protected time, choice, feedback on where they are going, expert instruction in skills and strategies, and support in goal-setting through a crystal clear understanding of what learning looks like within and across grade levels as skills progress. I would add another key aspect of any learning and teaching: joy. Joy can be just as contagious as its negative counterpart. When was the last time you celebrated something you learned? Really celebrated it? Not beat yourself up for how it wasn’t perfect the first time, but celebrated doing it? We are all growing and learning, and we should take time to celebrate our own growth alongside our students. Find joy. Every day. We can do it. Celebrate our kids. Celebrate ourselves. Celebrate our failures because we get the chance to learn from them and do it again. Choose joy. Sounds great, right? But let’s revisit that concept of protected time. 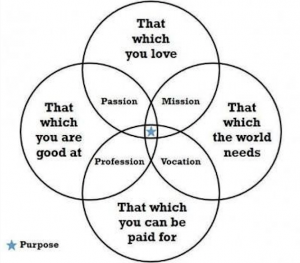 If we believe in our hearts that we and our students deserve all of the qualities listed above, what do we do about time? And yet, we know there is never enough time as a teacher. As a learner. As a parent. As a spouse. A sibling. A person who loves others and loves herself. Some of your most heartfelt feedback has been around the demands on your time in learning about Calkins, perfecting your minilessons, and learning new assessments through FASTBridge. You value listening to your readers. You value one-on-one and small group conversations where readers are digging in and making their own meaning in a book of their choosing. Thank you for loving our readers and knowing they value and need this time as much as you do. The above schedule splits your 30 mins. 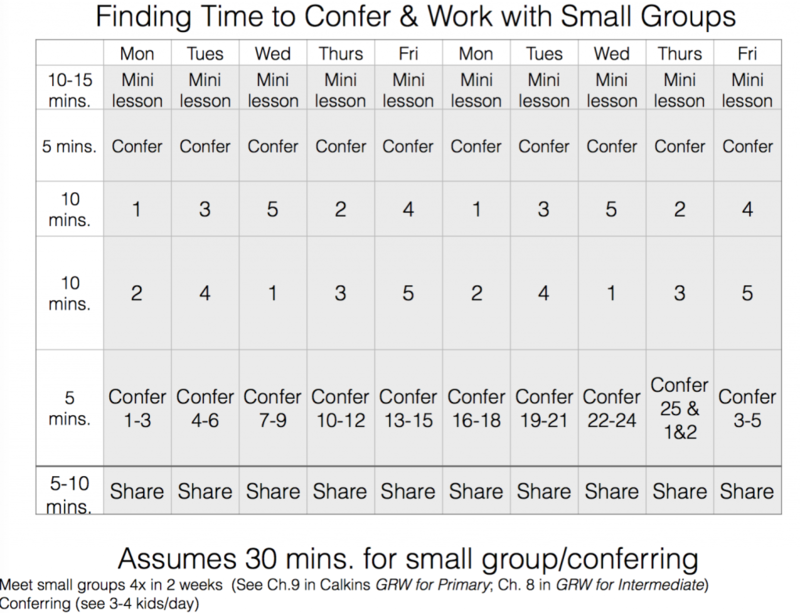 of independent reading time into 10 minutes for conferring (meeting 3 kids/day) and 20 minutes for 2 small groups. If you’re ready to take on conferring, check out the high-impact prompts below. These weave together research-based prompts from Burke’s Common Core Companion and Calkins’ Learning Progressions, Read-Aloud Prompts, and teaching points. In addition to being listed below, they are also available in your cohort folders in eBackpack. Choosing joy and celebration is hard. 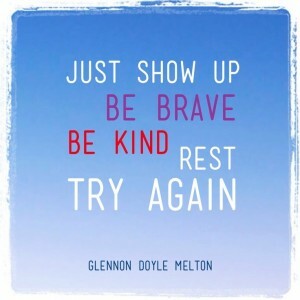 But, as I channel my inner Glennon Doyle Melton, we can do hard things. Use the comments below to start a swell of celebration and joy. Not because things are not hard. Because we deserve joy. All of us. As you continue to work on honing your craft of delivering minilessons, what are you noticing about students’ thinking as readers? What can they do now that they could not do at the beginning of the year? What common academic language has become part of your classroom? How have students used it with one another? This entry was posted in Uncategorized by kerryarens. Bookmark the permalink. Thank you for working so hard to support our kids. I really like this layout! Can’t wait to hear how it works out for you or what adjustments you make to make it even better!